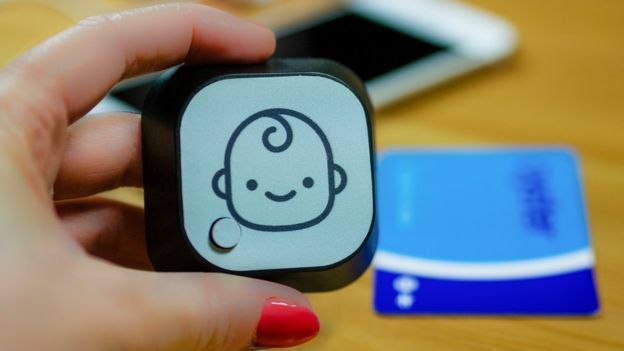 A new app launches in the UK on Monday aimed at helping pregnant women get seats on public transport. 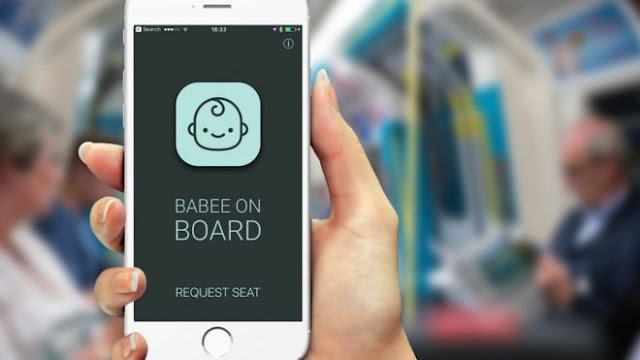 Babee on Board consists of two companion apps that communicate via Bluetooth. Once an alert is triggered, people nearby with the app receive a message saying there is someone who needs to sit down. The app containing the alert button costs £3.99, which will be donated to a children's charity. The developers said they were charging a fee to prevent it being used by pranksters. "We would rather give it away for free but we need to ensure there's a barrier so people don't download it for free and troll those around them," said Hew Leith, chief executive of 10X, the British innovation consultancy behind the app. "We are donating 100% of the profits to charity." The partner app which notifies passengers that somebody requires a seat can be downloaded for free and will activate automatically if a seat request is sent. The two apps work "like walkie-talkies" said Mr Leith. 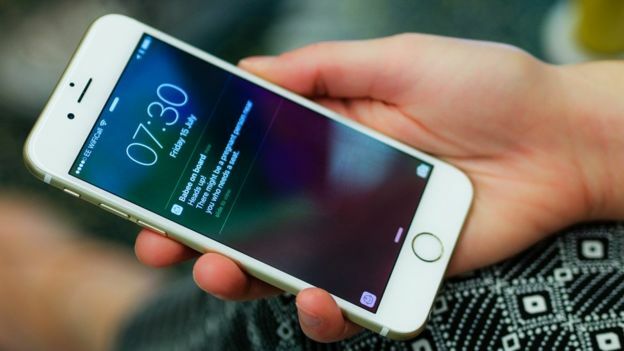 They require the handset's bluetooth location services and notifications to be switched on and the app is currently only available for Apple devices. "We should be using our eyes [instead] but if you look around you, everyone whips out their phone as soon as they sit down," said Mr Leith. "When we did user testing quite a few women said that early on in pregnancy, when they are not showing, is when they feel most ill and need a seat the most. "But visibly you can't see the bump and you can't always see the badge because the trains get so busy." The National Childbirth Trust (NCT) expressed support. "Anything that helps women with a 'baby on board' to have a more comfortable journey can only be a good thing," said senior policy adviser Elizabeth Duff. Analyst Marina Koytcheva from CCS Insight said the firm had recognised a business opportunity. "Travelling on public transport at rush hour is an arduous task at the best of times. When you are pregnant it is even more challenging," she said. "It is amazing what technology can do today, but it is also hard to tell how many pregnant women will be willing to pay for the convenience of finding a seat." In 2016 the South Korean city of Busan successfully trialled a scheme of pink buttons, attached to train carriages and activated via Bluetooth badges, to alert commuters to pregnant women requiring seats. In London pregnant commuters can get a free "Baby On Board" pin badge from the Tube network.